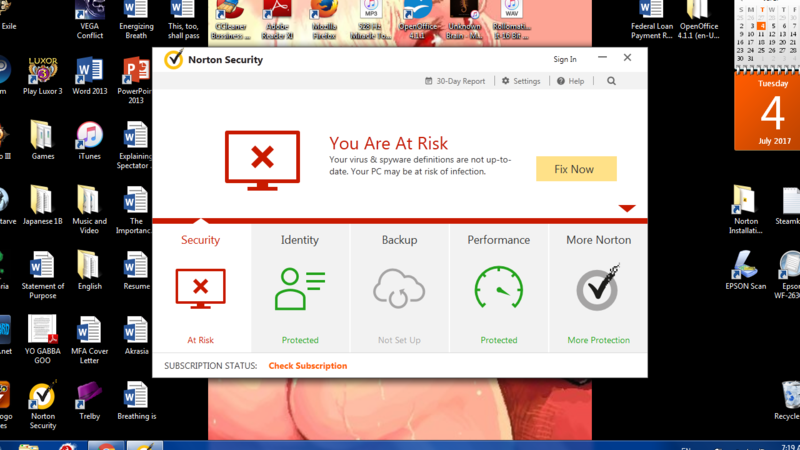 I don't know what the deal is, but my Live Update isn't working and now Norton is saying my computer is at risk. As you can see from the pictures I've attached my subscription is active, but Norton seems to think I'm not connected to the internet or something. Any ideas? Re: Live Update not working. Hi, Robert. First check if your system clock is correct. If so, go to the main UI screen, and select Help/Check Subscription Status. 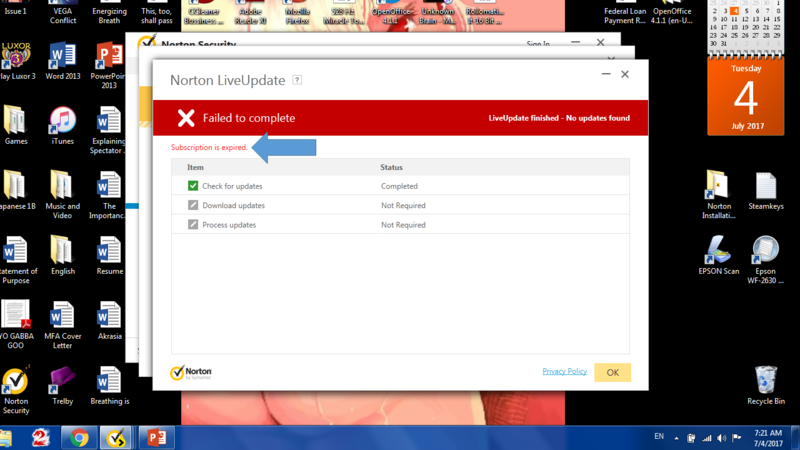 That should synch you to the Norton Servers, then run Live Update manually until no more are found, and then RESTART. Much appreciation for the response, I will bear it in mind if the issue crops up again. However, between posting the issue and this response I thought to uninstall and reinstall Norton and had Norton save my settings. 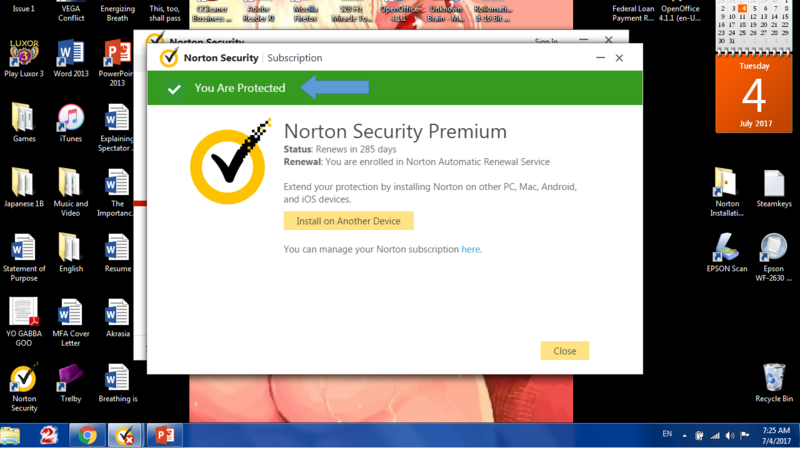 This cleared everything up and Norton says I'm protected again. Ok, good. The uninstall/reinstall seems to have everything working as it should.